Fast Company, the business magazine read by movers and/or shakers, uncorked some outside-the-box advice for companies stuck in a rut. Harmonix Music Systems is on the list, it seems, because of stagnation in the music gaming genre, not necessarily because it's spinning its wheels, but whatever. They are being advised to make, wait for it, a shooter. Marc Nesbitt tells Fast Company that Harmonix should spare no expense in creating "the world's first immersive shoot-'em-up, where gamers move their bodies to take cover." This game would be Kinect-controlled. Nesbitt correctly notes Harmonix has a head start on developing for Kinect. In fact, it has experience making a big seller for Kinect. It's called Dance Central, and Nesbitt (then with MTV Games, which sold Harmonix late last year) was actually the game's senior producer. 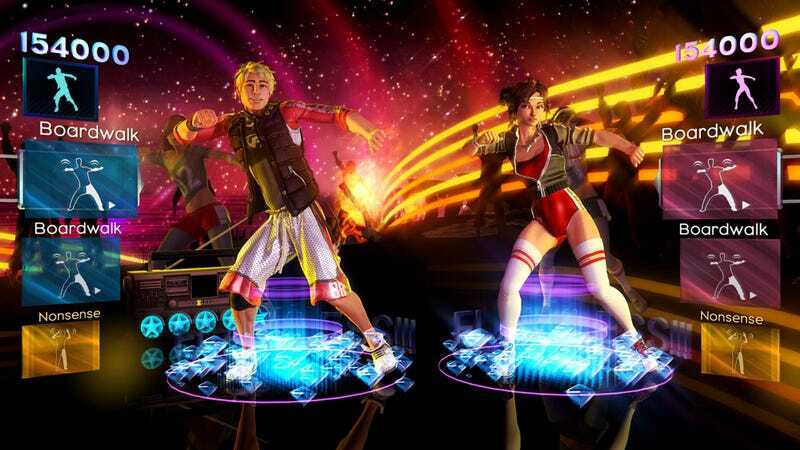 Dance Central sold more than 2.5 million copies, plus a lot of DLC, and its sequel arrives next week. So, advising Harmonix to jump aboard Kinect like it was a lifeboat, hasn't it already done that? This is an excerpt from a longer item appearing in the print edition, so maybe there's something more that got lopped out in a really zealous edit. Still, all the other suggestions, for companies like Honda, the NBA and Quiznos, are daring, but they fit the character of the product for which they are best known. Suggesting Harmonix make a shooter comes off a little tone deaf.